Image by jbelluch via Flickr11am - At the Canon on Newark Pompton Turnpike: A brief veteran's Memorial Ceremony. 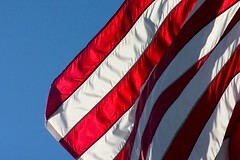 6pm - At the Boys and Girls Club: Flag retirement ceremony. Thank you to all those who have served as well as the families that supported that service.